People speak different languages, and always have. The Ancient Greeks took no notice of anything unless it was said in Greek; the Romans made everyone speak Latin; and in India, people learned their neighbors' languages—as did many ordinary Europeans in times past (Christopher Columbus knew Italian, Portuguese, and Castilian Spanish as well as the classical languages). But today, we all use translation to cope with the diversity of languages. Without translation there would be no world news, not much of a reading list in any subject at college, no repair manuals for cars or planes; we wouldn't even be able to put together flat-pack furniture. Is That a Fish in Your Ear? ranges across the whole of human experience, from foreign films to philosophy, to show why translation is at the heart of what we do and who we are. Among many other things, David Bellos asks: What's the difference between translating unprepared natural speech and translating Madame Bovary? How do you translate a joke? What's the difference between a native tongue and a learned one? Can you translate between any pair of languages, or only between some? What really goes on when world leaders speak at the UN? Can machines ever replace human translators, and if not, why? But the biggest question Bellos asks is this: How do we ever really know that we've understood what anybody else says—in our own language or in another? 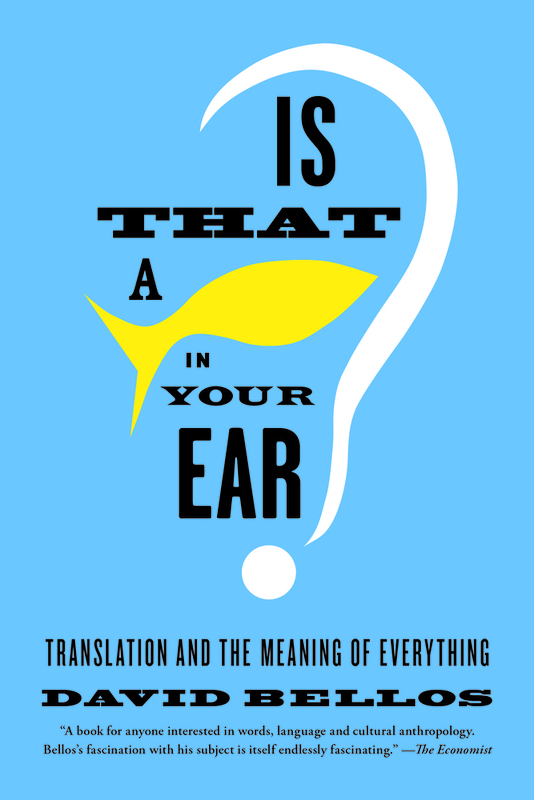 Surprising, witty, and written with great joie de vivre, this book is all about how we comprehend other people and shows us how, ultimately, translation is another name for the human condition. How do you give directions if your language has no &quot;left&quot; or &quot;right&quot;? Why would you need a word for the number 1.25? And how do you translate a joke? David Bellos looks at the peculiarities of language and the art of translation as a part of his book IS THAT A FISH IN YOUR EAR? TRANSLATION AND THE MEANING OF EVERYTHING. Praise for Is That a Fish in Your Ear? David Bellos is the director of the Program in Translation and Intercultural Communication at Princeton University, where he is also a professor of French and comparative literature. He has won many awards for his translations of Georges Perec, Ismail Kadare, and others, including the Man Booker International Translator's Award. He also received the Prix Goncourt for George Perec: A Life in Words.